Isaac Koi, the UK based researcher, has done a particularly fine job in recent years of making large data sets more easily available. 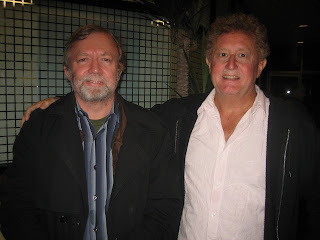 Now he has applied his talent to the Australian government and military UFO files. This arrangement was made with the permission of the National Archives of Australia (NAA). Prior to this, while the UFO files were accessible on a more open basis, particularly in recent years, they were not brought together in a easy-use format that Isaac has now provided. I wished I had dragged Isaac along during the access I had to these files at the Russell Offices of the Department of Defence during 1982-84 to maybe improve the then prevailing access process. His efforts have certainly improved the productivity of researchers focused on this area. Oz X-Files: "authenticated sighting", "appear to be inexplicable", USA "very interested"
In the "Above Top Secret" discussion thread link (above) Isaac also provided a bit of a profile of the research in this area undertaken by Keith and myself. 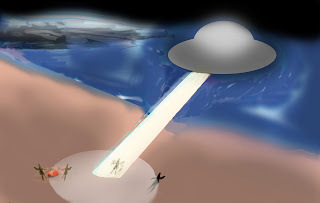 "ATA" - the Atacama "alien" story - another "cautionary tale" in the making or proof? Given my advocacy of using DNA and forensic science techniques in assisting in the investigation of controversial UFO and alien events and claims (see my 2005 book “Hair of the Alien – DNA and other forensic evidence of alien abduction” which focused on the Peter Khoury case, but also included other evidence examined by the Anomaly Physical Evidence Group (APEG)) it will be hardly surprising that I have taken an interest in the claims associated with reports about a DNA study linked with a diminutive “alien” body as part of the Steven Greer “Sirius”documentary to be released on 22 April 2013. Perhaps then we may be in a position to see if the extraordinary claims being made in the publicity related to the documentary are backed up by compelling DNA data and related evidence. I soon realised that I had come across the so called Atacama specimen before, under the name of the La Noria “alien.” I had thought based on the information from a few years ago that researchers had concluded that the specimen had little or no connection with UFO or alien events, and may have been a mummified human fetus. Extraordinary claims, indeed. The detail supporting these statements, namely the detail of the DNA sequences and the methodology used, when revealed, along with related data will clearly be subject to a lot of controversy and discussion. Perhaps it will be diluted in the broader issues that will be covered in the “Sirius” documentary, after all the focus will be the controversial agenda of Dr Steven Greer’s research. Come 22 April we may know more. Meanwhile I couldn’t get past the haunting feeling of déjà vu as I thought about the DNA claims made in the publicity and hype associated with the upcoming documentary. In the various APEG investigations we have tried to follow a range of protocols. Of course we would at first try to see if a compelling linkage existed between the specimen or sample and report observations of alleged UFOs and aliens. 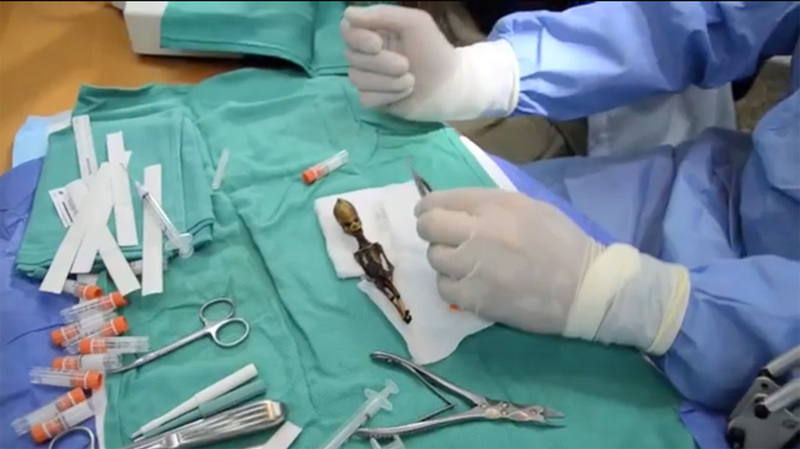 In the Atacama “alien” case the linkage seemed limited or absent. At best it seemed there were anecdotes of UFO reports and alien sightings in the general region and La Noria itself had something of a reputation of strange goings on - a reputation shared often with “ghost towns.” La Noria was an old abandoned nitrate mining location. However none of the stories seemed to have a direct relationship with the discovery of the Atacama specimen. It appears to be only linked somewhat unusual appearance, by some Chilean and Spanish ufologists and sensational media interests. The initial discovery back in 2003 in the “ghost town” of La Noria highlights that it was wrapped in burlap with a purple bow, in circumstances that suggest it may have been human related, and buried, with mummification and the environment accounting for aspects of its unusual appearance. These results clearly contradict the earlier 2007 results. Both cannot be right. Hoping to get further information I decided to send the following email to Steven Greer on April 19. Perhaps not surprisingly there has been no response as of April 21 (Australian time). Lets see how this plays out, whether congratulations are due to the team involved, or more likely, whether a controversial debate will ensue, hopefully based in facts and data, to see if the claimed “unknown classification” DNA results being attributed to the Atacama specimen are verifiable or whether they might be another “cautionary tale” caught up with strange and unusual agendas. I suspect the latter, but lets see. 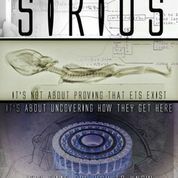 Dear Dr. Greer, I look forward to the opportunity of seeing your documentary SIRIUS. 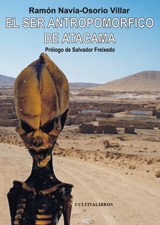 Given my longtime advocacy of using DNA & forensic science techniques (see my 2005 book "Hair of the Alien: DNA and other forensic evidence of alien abduction") to determine the possible nature of such evidence, my group APEG (Anomaly Physical Evidence Group) and I are obviously intrigued by the DNA claims made about the Atacama specimen. I have been following the limited release of information on the DNA study and have been aware of the background Chilean & Spanish connections and earlier limited scientific studies through Hispanic researchers and the various publications of IIEE (Navia et.al) which did not seem to support an exotic origin, although IIEE were clearly trying to reach that conclusion. I also note the following press release excerpts:http://www.prweb.com/releases/prweb2013/4/prweb10641553.htmA DNA sample from bone marrow extracted from the specimen, was prepared, sequenced, and analyzed by a top research scientist at a prestigious American university. For security purposes, 'Sirius' has withheld details on the university and researcher, but will be revealing both along with additional DNA analysis results from the 'Atacama Humanoid' on or before the release of 'Sirius' on the 22nd of April.There will be considerably more DNA analysis results information released to the public on 'Ata,' the 'Atacama Humanoid,' as the team is calling him, between today and the 22nd. At the time of publication of "Hair of the Alien" in 2005 we were not in a position to identify the head biochemist researcher who supervised the team behind those results and who also authored the 2 technical reports/discussion papers appended in the book. Now he can be identified as Dr. Horace Drew, recently retired as a principal research scientist of the Commonwealth Scientific & Research Organisation (CSIRO) Division of Molecular Science, Sydney Laboratory, Australia, and co-author of the text "Understanding DNA - the molecule; How it works" (which was described by Sir Aaron Klug as "Authorative and lucid"). I have been discussing the Atacama specimen story with Dr. Drew. He has indicated to me that he would be pleased to be able to examine the detailed DNA analysis results, data and reports. As the above press release indicates that the researcher, university and data will be released by April 22nd we believe it is important to have a measure of peer review coming from someone who has had experience in examining a range of evidence presented as possibly extraterrestrial in nature. We would be grateful if you are able to share this information with us. The reference to "unknown classification" caused me to reflect on my own group's experience in dealing with the so called Californian "alien claw" case, which was detailed in the attach paper "A Cautionary Tale DNA Analysis of Alleged Extraterrestrial Biological Material: Anatomy of a Molecular Forensic Investigation" prepared by Dr. Colm Kelleher in 2003 when he was with the NIDS organisation. Back in September 2003 I described the report on UFO Updates in the following way:The National Institute for Discovery Science has published the results of an exhaustive and unprecedented DNA study on a biological sample implicated in a major UFO abduction milieu - the "alien claw" case from California.Scientists working with the Anomaly Physical Evidence Goup (APEG) contributed Mt DNA PCR, DOP-PCR, MDA and Ribosomal DNA analyses. It was ultimately the novel application of the latter process that finally produced a breakthrough in this complex work carried out in this groundbreaking investigation. This anchored the "alien claw" with a more prosaic origin, namely a mollusc or snail artifact - a case of when is a "claw" not a claw - answer, when its a snail or slug.The byproduct of this exercise is the novel ribosomal DNA analytical methodology, utilised by the APEG scientists, which has diverse implications in the world of animal research and perhaps in the field of cryptozoology.APEG is grateful to NIDS and A & S Research for the opportunity to participate and contribute to this fascinating exercise.While the study confirmed a prosaic origin to the "alien claw" artifact, the UFO abduction milieu from which it emerged is still under study in particular by A & S Research and it will be interesting to see if any other intriguing artefacts emerge to assist in the interpretation of this complex affair. It needs to be remembered that this artifact was only one part of a very complex affair. The lessons in this DNA investigation are of vital importance to future such investigations. Here are the sequences of eight novel PCR primers, developed by the team led by Dr. Drew, that were used in the "Cautionary Tale" research work. They were designed to amplify any possible DNA, maybe even of alien origin? The bases such as “W” or “V” indicate certain combinations of A, C, G, T used in DNA synthesis. Snail DNA amplifies just as well as human. To identify the species, you sequence the PCR project (whether directly or by cloning in E. coli). There are four separate PCR products which should ensure a reliable result. We look forward to the opportunity of examining the detail of the DNA study of the Atacama specimen. 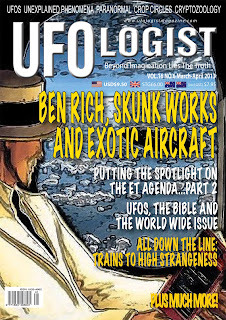 New post on my SCIENCE & the UFO CONTROVERSY site on "SOLID LIGHTS"
I have placed the full text of my January-February 2013 "SOLID LIGHTS and the neglected UFO science legacy" column in the Australian magazine "Ufologist" on my "Science & the UFO Controversy" site, with some additions, graphics and updates. This picture was produced by my son Chris with my assistance to develop imagery that helps describe a "solid light" case that was focused at a beach headland area at Kiama New South Wales in Australia back in the early 1970s. I have revisited this affair many times and it has inspired my worldwide focus on similar cases. 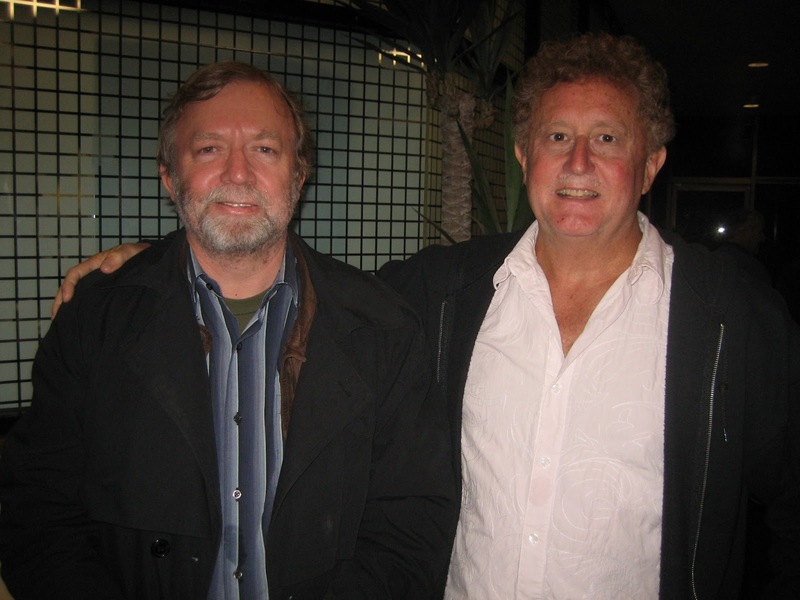 Gildas Bourdais from France helped me immensely with regard to the strange event played at Taize back in 1972. I have also focused on the classic Trancas case from Argentina in 1963. Both cases are striking, but not without their weaknesses and possible explanations. In both cases my enquiries to date suggest the possible explanations are not all that compelling, but we still need to examine them, to see how the evidence for these classic cases stack up. The wider worldwide picture of “solid light” type cases appear to suggest that such events are a valid part of the UFO phenomenon. I look forward to contributing to the elaboration of our understanding of this fascinating aspect of the UFO mystery. If you have information about any cases of this type please contact me via billozfiles@tpg.com.au or P.O. Box 42 West Pennant Hills, NSW, 2125, Australia. In the current issue of the Australian newstand magazine "Ufologist" in my regular column "Science and the UFO controversy" I have written a piece entitled "The Evolution of a scientific ufology - the enduring legacy of J. Allen Hynek." 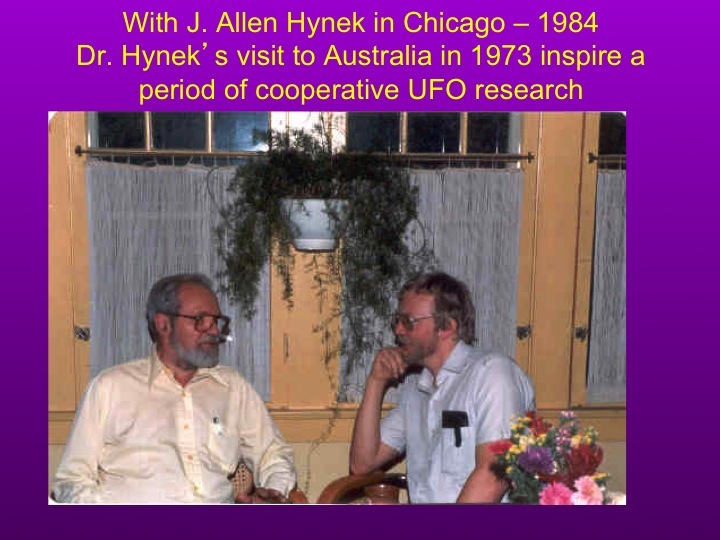 Here are some "sound bytes" from my column piece: "The Evolution of a scientific ufology - the enduring legacy of J. Allen Hynek." "Because the term UFO has increasingly become uncritically seen as meaning “extraterrestrial spacecraft” many researchers have adopted the more neutral term UAP or unidentified aerial phenomena.” I find that move quite understandable, but Allen Hynek had already recognised that concern and hoped that a scientific data focus would help clear away this misconception." "Still despite these issues the term UFO is almost universally accepted and at worst its blurring into the sense of “extraterrestrial spaceship” provides a convenient opportunity to focus on its more neutral sense and then go beyond that to contemplate the limitations of this loose stereotyping." "Both the simplicity and uncertainty of the Hynek UFO definition has always appealed to me, because it anchors the term firmly in the realm of science, informed by doubt, investigation and research – the critical underpinnings of the scientific approach. Thus my approach to my investigations and research over the decades has always been informed strongly by the idea of scientific skepticism." "Scientific skepticism is an important discriminating tool in UFO research. Doubt and testing of data, through careful investigations, creates an objective approach to evaluating the case for UFO reality. I see it as a powerful tool for the assessment of UFO cases as it focuses on letting the quality of the evidence for any particular claimed UFO event determine if there is a credible UFO event involved. 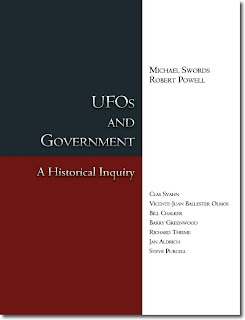 Popular ufology dominates the focus of the field’s most popular history, namely the contributions of Richard Dolan, with his “UFOs & the National Security State”, with Volume 1 (“Chronology of a Cover-up, 1941-1973” (2002, an earlier edition “”An Unclassified History” published in 2000), Volume 2 (“The Cover-Up Exposed” (2009) and a projected volume 3 to close this version of UFO history. “While more focused and documented than the first volume some of the problems of the first are revisited in it. Excessive attention to unsubstantiated conspiracy claims is given and anyone who seems to have an advocacy for scientific ufology is considered naïve and short sighted. “What concerns me more is his argument that a focus on scientific ufology is less important than the focus on the “cover-up” story. This is an interesting area for debate but it is poorly argued in Dolan’s book, simply because he gives far less attention to “scientific ufology” and is often quite dismissive. This is perhaps not surprising as his focus is on the “cover-up” and his argument for a close connection between UFOs and the national security state. This is without doubt an important aspect but Richard Dolan does his case a disservice with his use of some dubious material. “Despite these problems I did enjoy the journey Richard Dolan’s book takes us through, the period of 1973 to 1991, a time I was (and am still) actively involved with the debates, controversies and research areas that dominate ufology. He does a reasonable job with covering the twists and turns of ufology, the important cases, the directions and controversies. In fact he starts his coverage with a case I documented in some detail, the North West Cape encounter of October 1973. I thank Dolan for re-envisioning the period. It was a rich and rewarding period, but one that was often side tracked and paralysed by controversial issues, often rooted in the “cover-up,” such as the notorious MJ-12 documents. Case controversies such as the validity of the Gulf Breeze photos and sightings get mixed attention. The fascinating 1986 JAL sighting, which has some credible “cover-up” dimensions, gets a reasonable coverage. 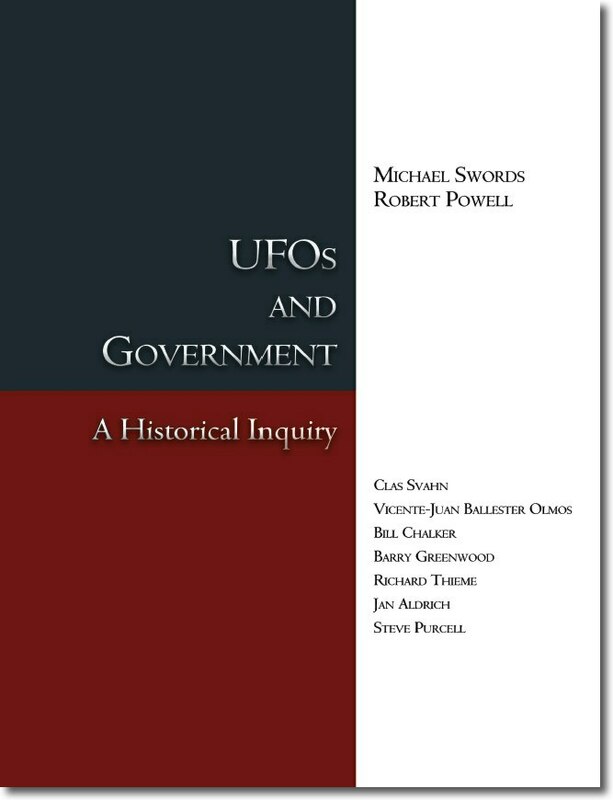 "A perhaps more objective and solid evidence based focus on the role military and government has emerged with the appearance of “UFOs and Government – A Historical Inquiry” by the UFO History Group, the primary authors being Dr. Michael Swords and Robert Powell, and contributions from the rest of the group – Clas Svahn, Vicente-Juan Ballester Olmos, Barry Greenwood, Richard Thieme, Jan Aldrich, Steve Purcell and myself (Bill Chalker). "One of the major themes that runs through the “UFOs and Government” narrative is the recurring sense of lost opportunities to engage appropriately with a consistently unexplained phenomena, which if studied properly could yield fascinating scientific breakthroughs. When the picture presented is of poor investigation and active debunking with far to little serious in depth analysis, and yet we have impressive international evidence of a consistent unexplained phenomenon, there is a vast disconnection from an appropriate scientific response. "It seems to me true scientific skepticism is being lost in a blurring of public organisational skepticism with the term debunking. My position is one informed by scientific skepticism (not the only approach I use, as on its own it can be limiting, I also try to be open minded and be led by evidence - but it is the foundation that guides me). Scientific skepticism has doubt as part of the approach, and it is a very important part of the scientific method. Doubt in the scientific method approach, automatically requires evidence and investigation and research, that includes what people say happen, but also tries to reconcile belief in what happen, with any objective evidence, such as photos, physical traces etc. So science tries to be objective, anchoring conclusions in evidence, not just anecdotal evidence (or not just in what people think or believe they saw). "That background has meant that for decades, my approach has been that many reported sightings will turn out to be explainable. I assume that, based on experience and I let an objective assessment of the information and evidence guide me to whether we might be dealing with a real UFO event. Ultimately in my experience there are many events that survive that approach that I regard as likely UFO events. But by always trying to be objective and scientific no case is final, simply because some information may turn up that might change things and a cherished UFO event may take a step back. Equally an IFO (Identified Flying Object) report might develop into a UFO if sufficiently good evidence is carefully amassed to make a good case to change conclusions. "I apply the same process to my own sightings, so I am continually revisiting them to re-evaluate them to see if they still stand up. Despite some compelling experiences I still do not see myself as a "true believer", simply because I accept that I don't have the answers. I don't impose my approach or conclusions. I just put them out there for people to consider as possibilities. "If the UFO field wants an enduring mainstream future it seriously needs to engage with the principles of scientific ufology. These are not about debunking, but they are based on scientific skepticism, not the rants of the debunking skeptics who seem to argue there is nothing worthwhile looking at and anyone who does is suspect. True believers also need to understand that belief based on critical thinking and a serious engagement with actual evidence is the best way of bringing this extraordinary phenomenon from the fringe world it dwells in, into the mainstream of wide public and scientific recognition."